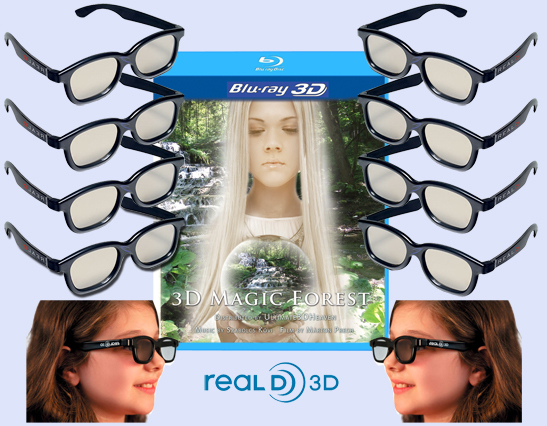 This 3D Glasses kit is only for use with Passive 3D Applications such as LG, Panasonic, Vizio, JVC, Phillips and Toshiba Passive 3D Ready Televisions. A Passive 3D viewing device (such as a 3D Ready television) and a 3D Blu-ray Player is required. These 3D Glasses will not work with Active Shutter Glasses Applications (including 3D Ready televisions that use active 3D Shutter glasses). These 3D Glasses will also work with most 3D theater applications or thrill rides such as Real-D or Disney Digital 3D.